My alien is now complete, the missing Under Suit card is in my hands and on my Martian. 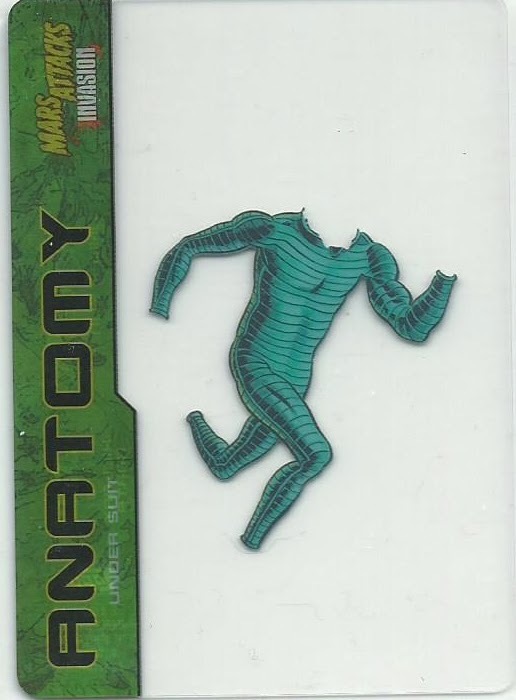 In November I picked up five of the six acetate cards needed to put together the alien anatomy, I was missing card #5, the Under Suit. I just picked up the Under Suit card for 99 cents from a dealer and my Martian is now dressed for a proper invasion. 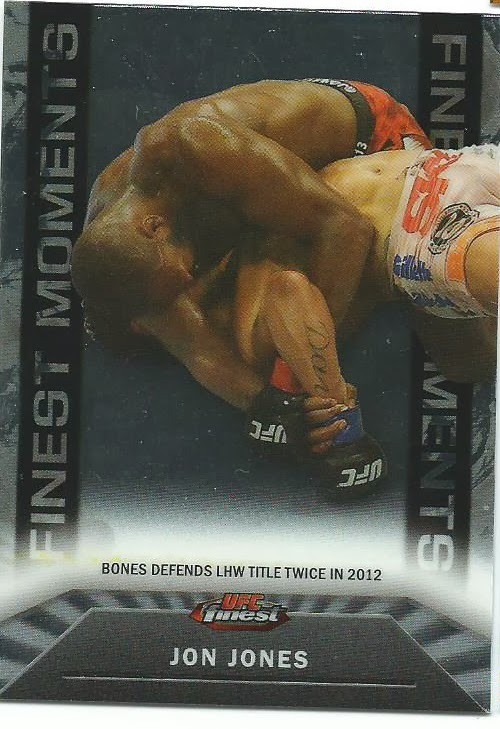 The second half of my box break from last week was a box of 2013 UFC Finest. 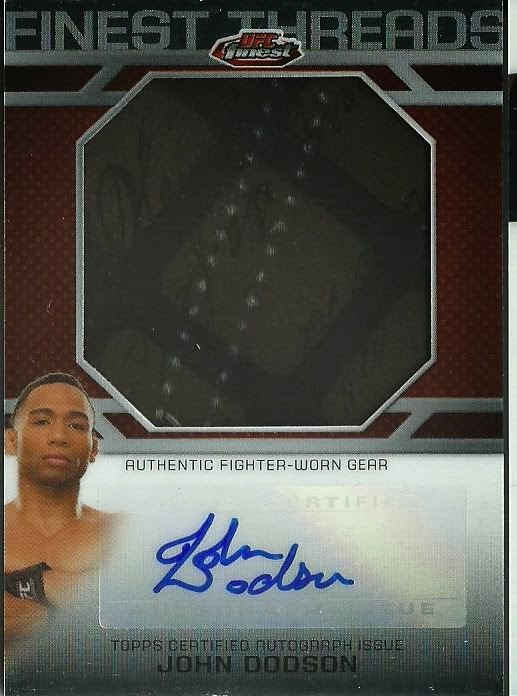 I am a huge UFC fan so when I do have the cash for a box or two I prefer picking up UFC products and UFC Finest is one of my favorite releases. 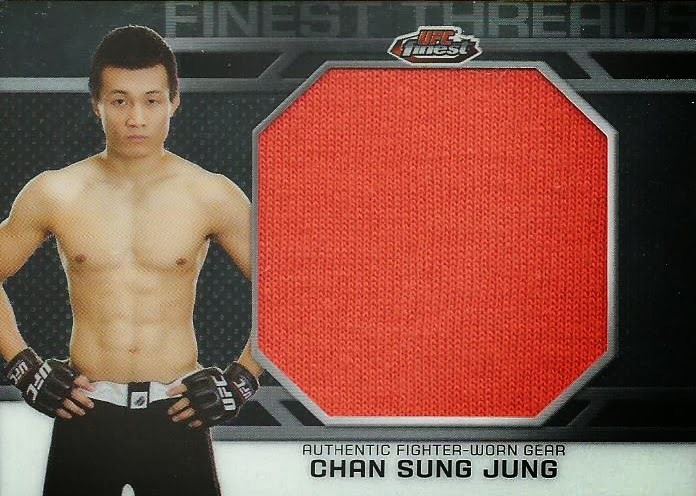 Each 2013 UFC Finest master boxes includes two mini boxes with 6 packs each (12 packs total). 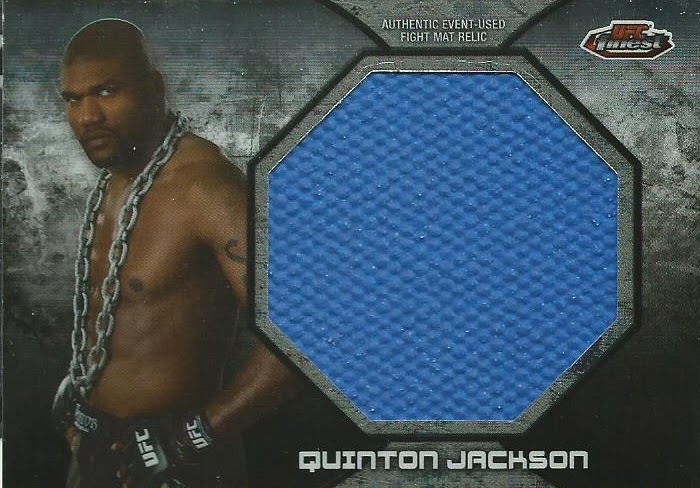 There are 6 hits, 4 inserts and 12 parallels. 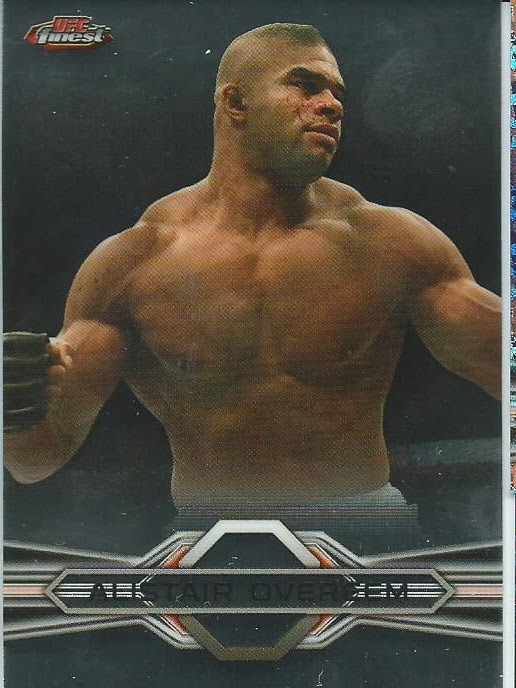 I pulled a nice variety of cards, no duplicates (which was nice). 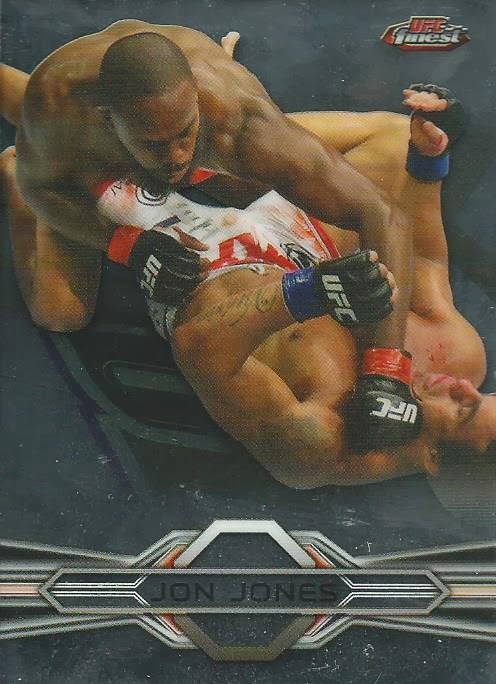 The base cards are clean, most show action shots with a couple of post-win shots. 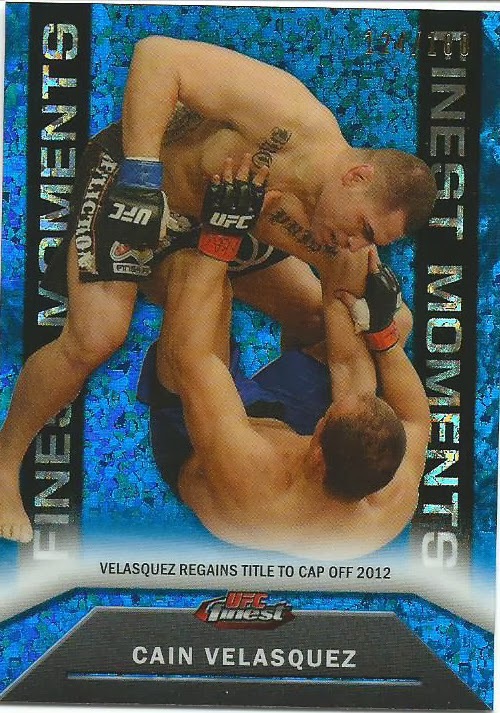 With the Finest I got Jon Jones and a Blue Refractor Cain Velasquez (#/188). 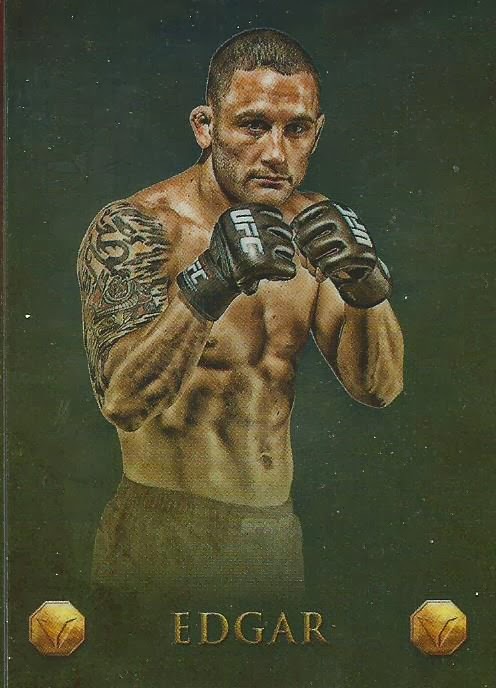 With the Valor inserts I pulled a base Valor Frankie Edgar (Not the Valor 1/1 parallel version) and a Heart Ian McCall (#/88). 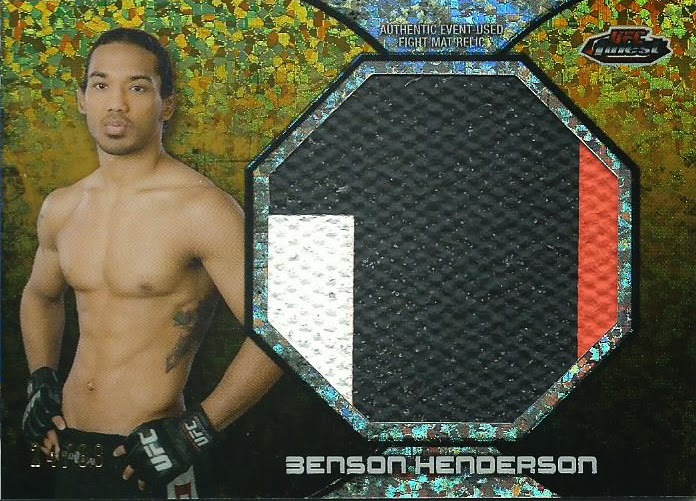 Two Jumbo Mat Relics; a base Quinton Jackson mat relic and a Gold Refractor (#/88) Benson Henderson (my second favorite fighter) mat relic. 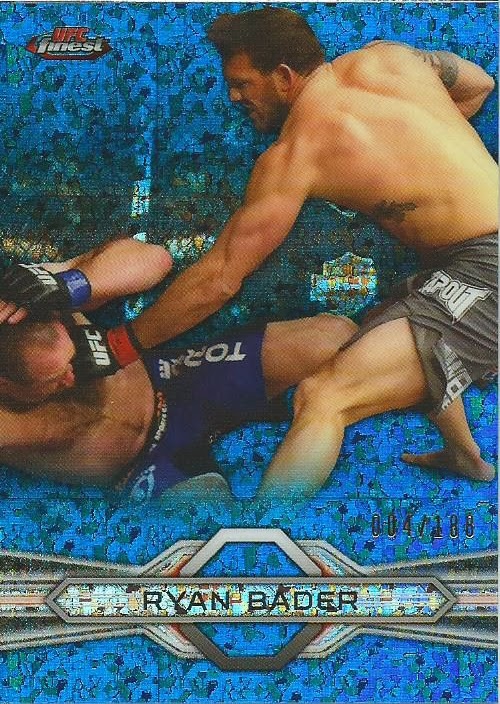 This was a great box break, I got nice cards of my two favorite fighters, a Blue Refractor Ryan Bader base card and a Gold Refractor Benson Henderson mat relic. 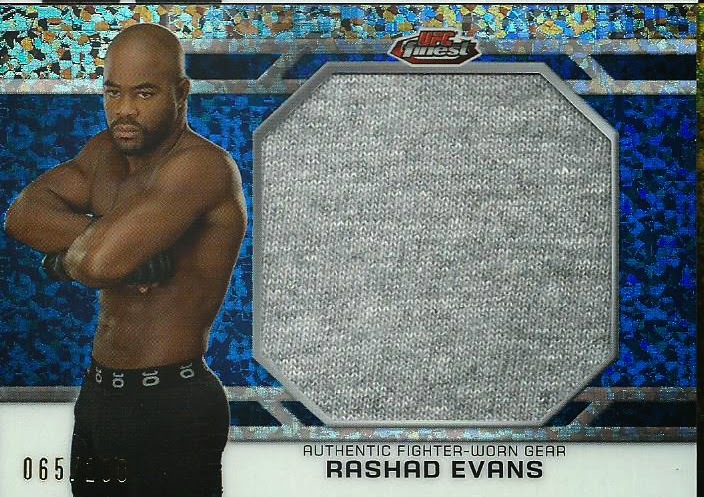 This was a nice change from the disappointing 2010 Triple Threads Football box. 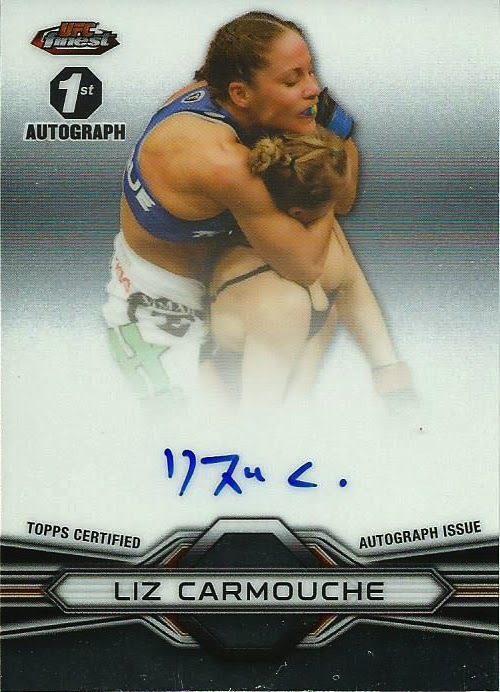 Each year Topps does a wonderful job with the UFC line and Finest is among my favorite. 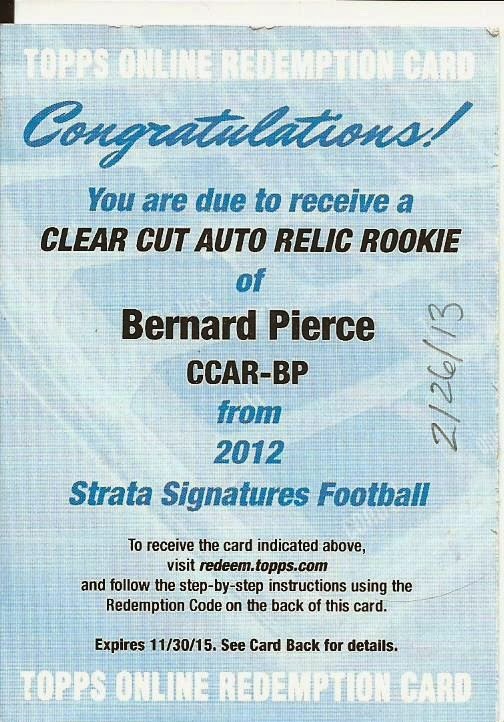 On the positive side Pierce has been signing the Strata Clear Cut Auto cards for Topps, there are some low numbered parallels being sold that are in-hand. 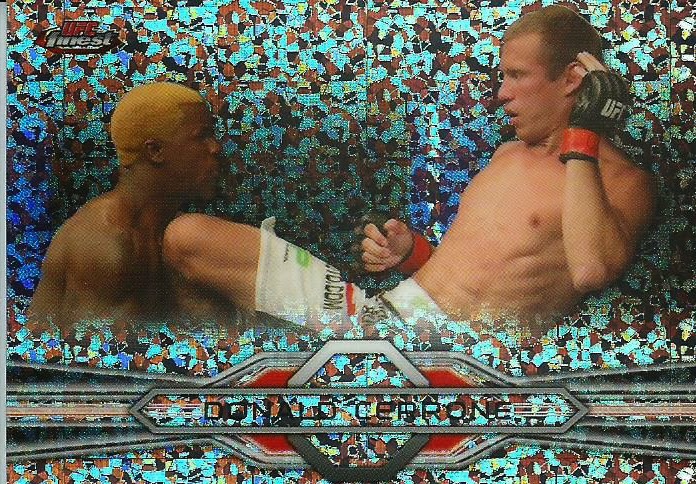 This month’s Art Gallery display is from the 2012 Topps Mars Attacks Heritage release. The original Topps Mars Attacks release was in 1962 so this release was for the 50th Anniversary of the original set. 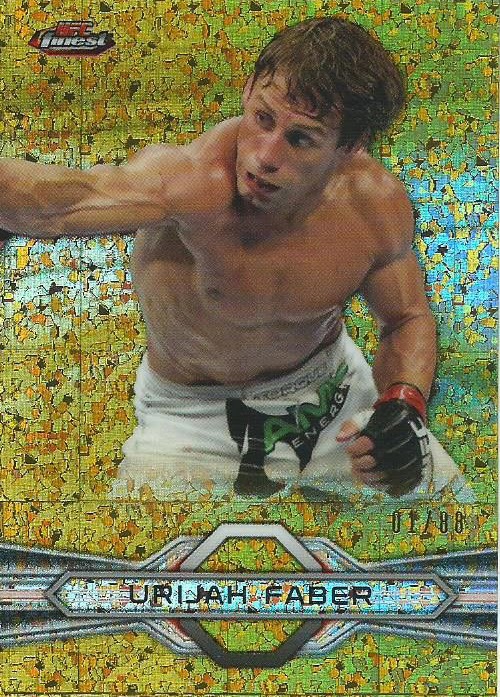 Included in this release were a variety of inserts including parallels, 3D cards, printing plates and sketch cards. 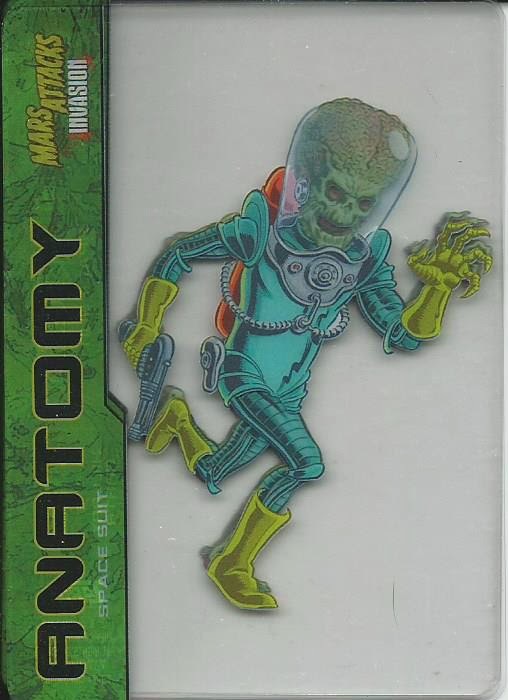 With the sketch cards the artist was allowed to take their own impression from the Mars Attacks line, including the original release, Tim Burton’s 1996 movie and the comic books. 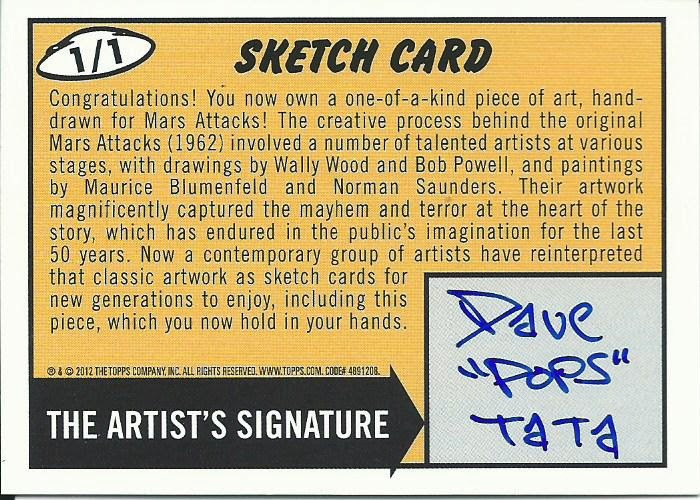 This card was done by Dave Tata, a well-known illustrator that has done work for a couple of animated shows and he is found on quite a few sketch card checklists including Topps Mars Attacks, various Topps Star Wars sets Cryptozoic DC The New 52, Cyptozoic Batman, Cryptozoic Superman, Cryptozoic Walking Dead and various Rittenhouse Marvel sets. 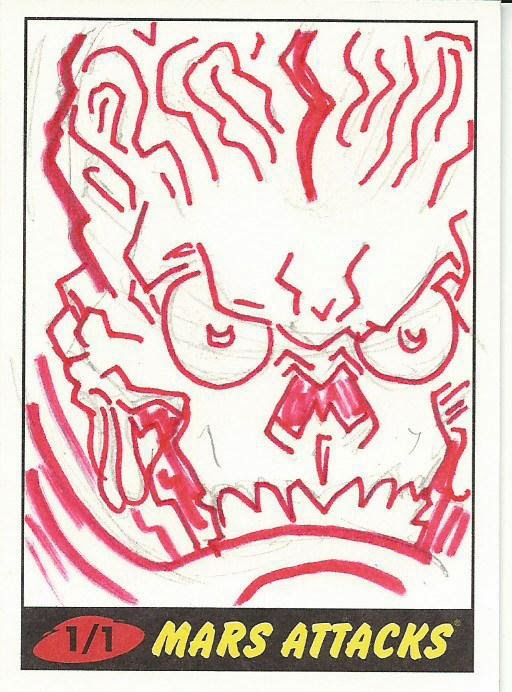 Earlier last year I purchased a Mars Attacks sketch card from a seller who flaked out. After I got a refund from eBay he told me his was sending the card anyway, which never happened. 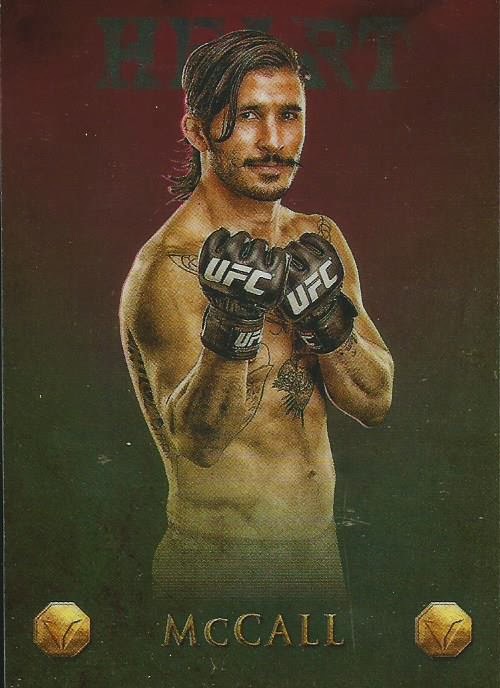 I ended up finding this card, which I liked better. What caught my attention first was the color. I like the red, there is a connection with Mars plus red=anger and that is implied here too.